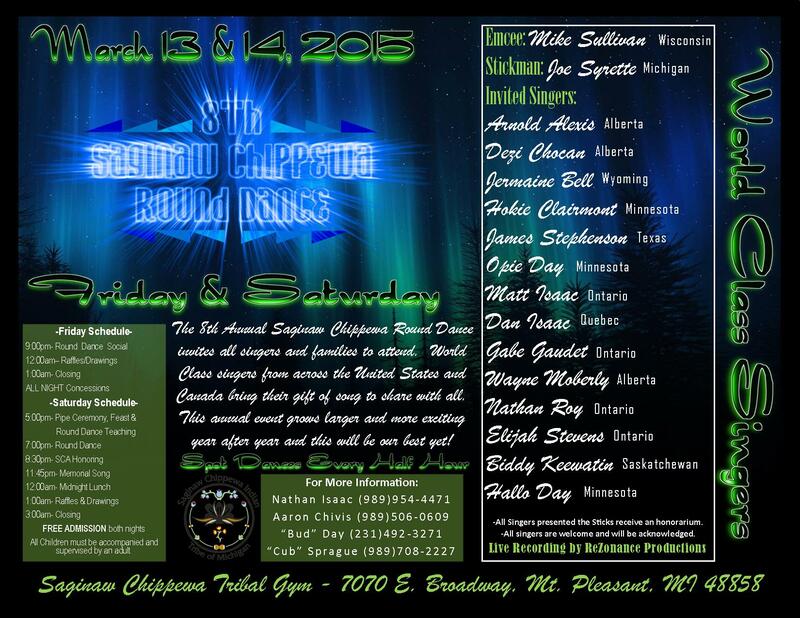 The 8th Annual Saginaw Chippewa Round Dance invites all singers and families to attend. World Class singers from across the United States and Canade bring their gift of song and share with all. This annual event grows larger and more exciting year after year and this will be our best yet! All children must be accompanied and supervised by and adult. -All Singers preseded the Sticks receive an honorarium.